Auld Farm Inn Bed & Breakfast offers smoke free rooms with the quiet atmosphere of the country. 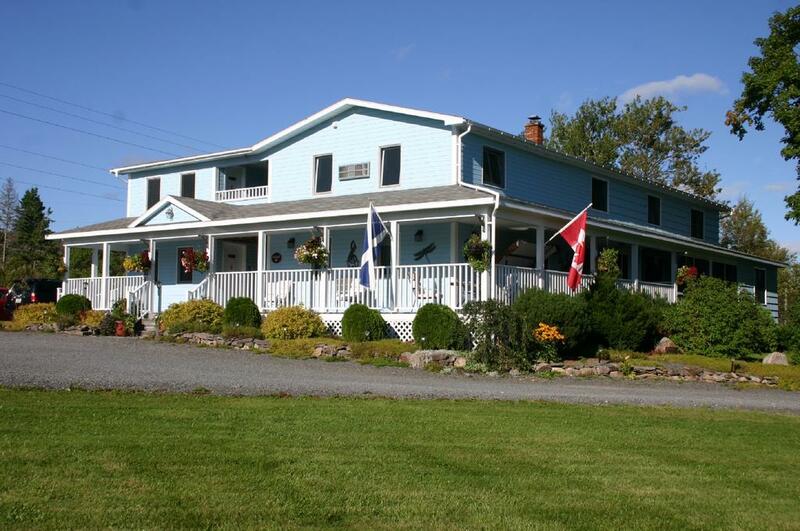 Located 4.3 miles from the village of Baddeck, this farmhouse style B & B offers a daily hot breakfast. Free Wi-Fi is provided in all areas. Individually decorated, each guest room at Auld Farm Inn B&B provides views of the surrounding countryside. All rooms offer private bathrooms, select rooms include en suite bathroom facilities. Fresh fruit salad, muffins, cinnamon buns and cereal are just some of the items featured on the breakfast menu at Baddeck Auld Farm Inn. Guests can relax in the shared lounge or on the outdoor deck after a day’s outing. Alexander Graham Bell museum and Bell Bay golf course are both within 5 minutes’ drive from this B & B. Cabot trail is 1.2 miles away.